Vibration is what we all need at least at one time in a day, maybe in a meeting. Most people keeps their phone in vibrate mode all the time. Vibration becomes our dependence and we rely on it to receive any call or message. And this could be frustrating when the iPhone doesn’t vibrate. Missing important calls or message are not the things to afford. Therefore, we are listing solutions to the users whose iPhone is not vibrating. Press the two buttons simultaneously i.e. “Home” and “Sleep/Wake” buttons. For iPhone 7 and iPhone 7 Plus, please hold "Volume Down" button and “Sleep/Wake” button. 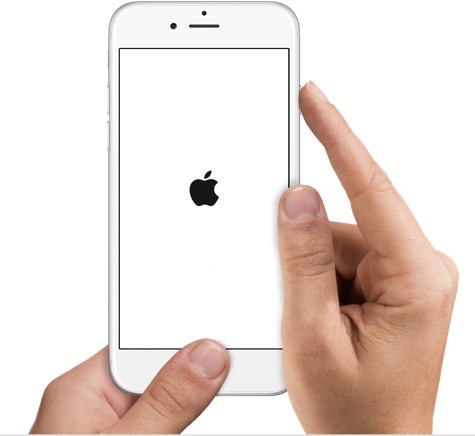 Hold them for nearly 10 seconds until the Apple logo appears. Tap “Settings” and then “Sounds”. 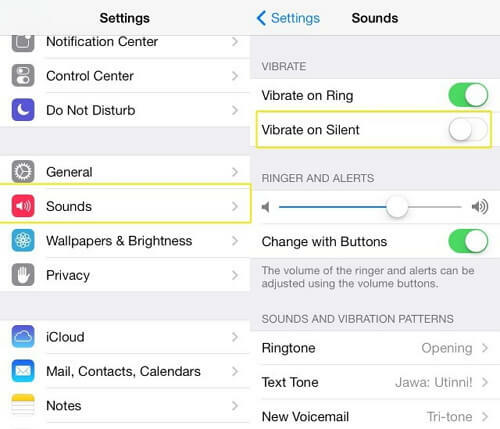 Turn on the two toggles, that are, “Vibrate on Ring” and “Vibrate on Silent”. The former will make the device vibrate on ringing mode and the latter will make it vibrate on silent mode. 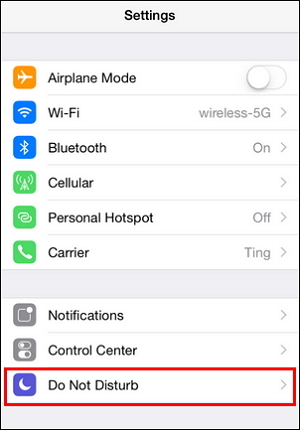 Firstly, swipe upwards from the screen to go to the control center. Tap on the crescent moon. It will turn off the Do Not Disturb feature. Go to “Settings” and then tap on the button next to “Do Not Disturb”. Make sure to turn off the “Manual” option and “Scheduled” as well. Not having latest OS update can also trigger the issues. Therefore, when your iPhone won’t vibrate in silent mode, make sure to check for the recent software update. Tap “Settings” and go to “General”. Subsequently go to “Software Update”. Hit on “ Install Now” if there’s an update available. Head to “Settings” and then “General”. Tap “Reset” which will be at the bottom of General menu. 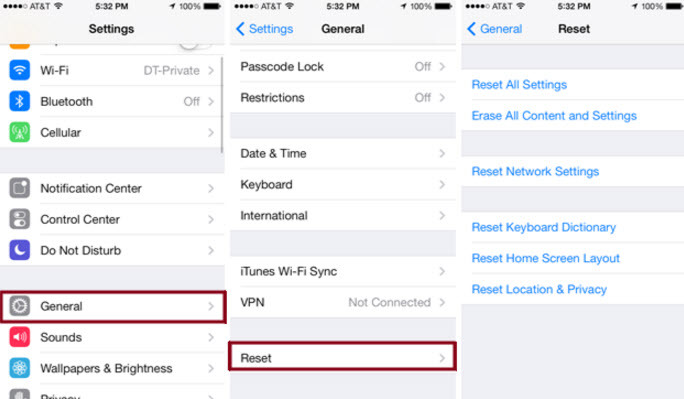 Choose “Reset All Settings” and enter the passcode if you have. 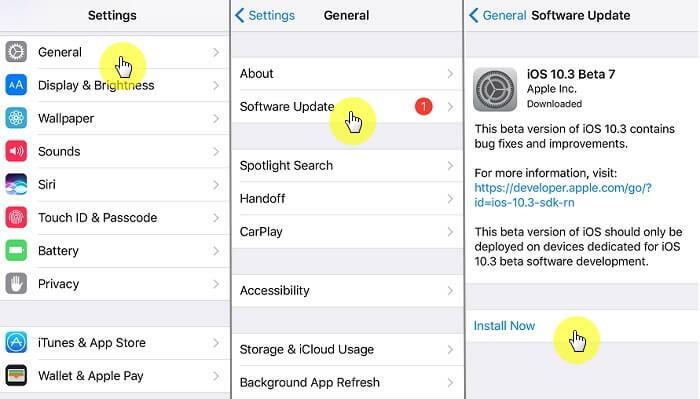 Lastly, confirm the action by tapping “Reset All Settings” again. Once you tap, the device will restart. Hope this solution ends the iPhone not vibrating problem. If the iPhone still won’t vibrate, there could be some hardware issue with your iPhone. You will need a system repair tool to fix your iOS. 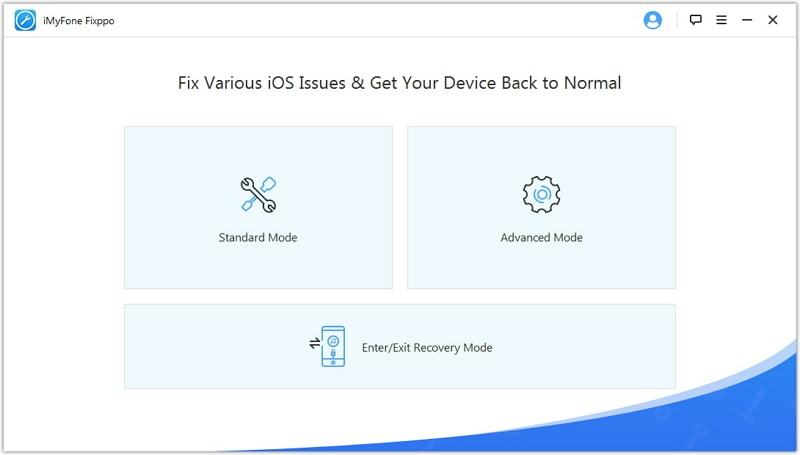 Here we would like to recommend iMyFone iOS System Recovery to fix the issue which assures 100% safety. This can fix iOS system with ease and demands no technical specialty. iMyFone iOS System Recovery is able to handle a variety of iOS problems, for instance, iPhone gets freezing problem, black/white screen of death or restarts endlessly. As a favorable feature coming with the product iMyFone D-Back, it was recommended by Makeuseof. This software benefits you by fixing the issues without losing any data in the phone. This software works with iPhone, iPod touch and iPad running different iOS versions, even including iOS 11. 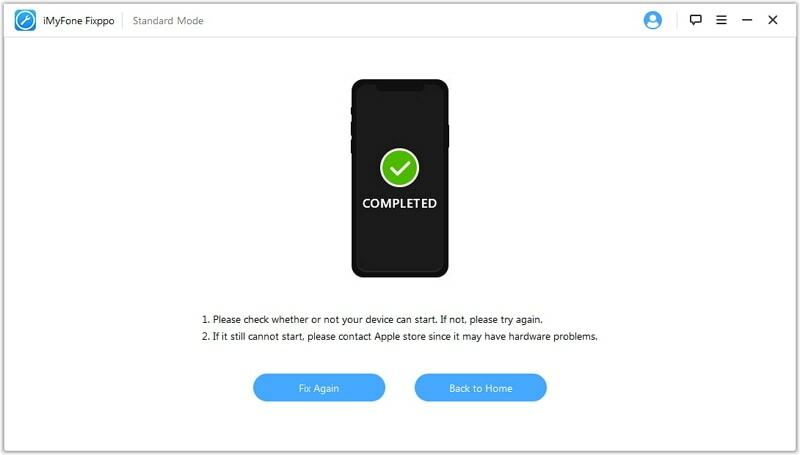 Download, install and launch iMyFone iOS System Recovery on computer. After launching, you’ll enter to the main interface. Click on “Start” from there. With the help of USB cable, connect the device to the computer and click “Start” again. Choose the latest OS version and click “Download” button. This will begin to download the latest firmware. 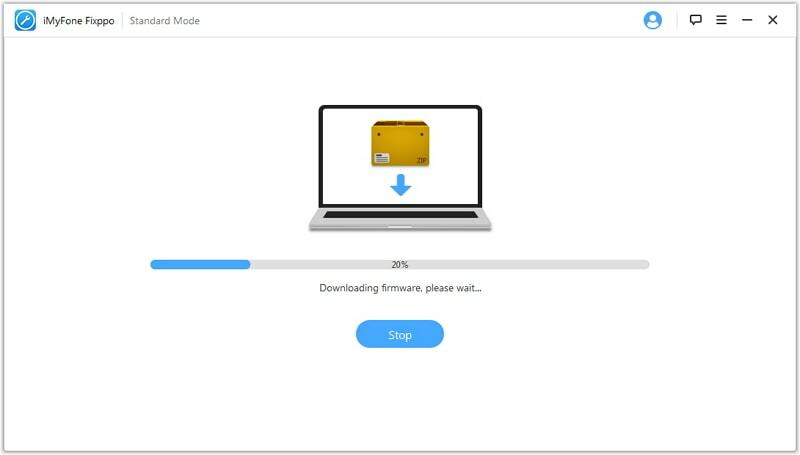 Now please wait for some time until the firmware is downloaded. When you download the firmware, iMyFone will begin repairing the device. Lastly, the device will be restarted and make it back to normal. If the problem still exists, then there’s a need to head towards Apple store to fix the issue. But before that, backing up all the data is very essential. You can use either iTunes or iCloud to backup the data. 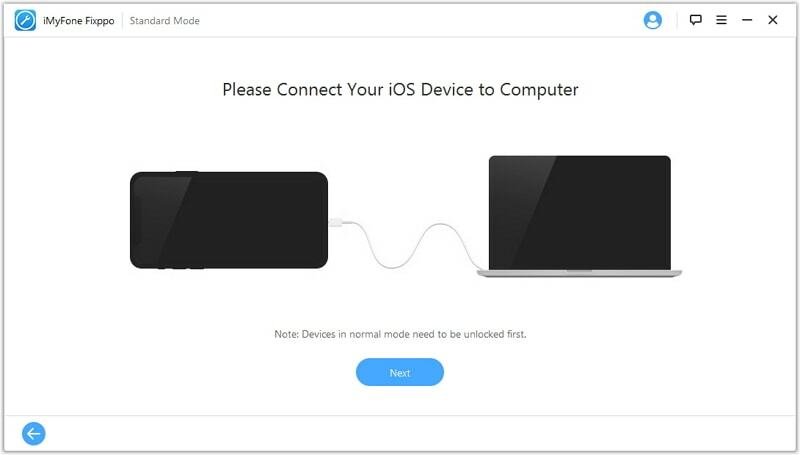 But if you just want to backup some of the data like photos or messages to your computer, you can use iMyFone D-Port which is also developed by iMyFone team. You can also use it to view and extract data in your iTunes and iCloud backup instead of restoring the entire backup to your iPhone. An electronic gadget can never be free of issues. The given solutions are proved helpful in getting the vibration again. We wish you’ve tried one of them and they could work for you. And if you’ve not attempted any of them yet, try them out once and find the reason behind and the solution to the problem.